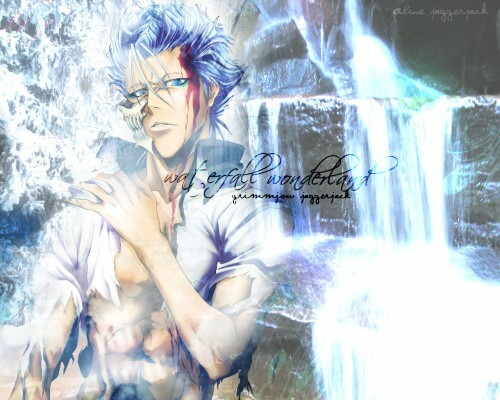 So the character is Grimmjow Jaggerjack from Bleach, and his character (if you dont know) is a rough, mean, angry, and disrespectful kinda person. So in contrast to that, I made this wallpaper sweet, feminine, gentle, soft. I like the background with the waterfall very much :) It goes well with the scan too. The font is looking awesome as well :P The only thing I'm not liking is the brightness of the wall (it's a bit too bright).